Christof cruised extensively in the coastal waters of British Columbia including the West Coast of Vancouver Island. 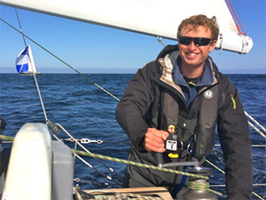 One of his biggest adventures is a 2nd place during the 2012 Vic-Maui International Yacht Race. This was followed by three more deliveries from Hawaii to Vancouver and an adventure on the Atlantic. Christof has logged over 20,000 miles offshore and in coastal waters. Before founding Simply Sailing in 2010, Christof worked in the hydropower business and was managing the development and design of projects in Asia, South America, Canada and his native Switzerland. Before becoming a sailing instructor, Christof taught skiing in the Swiss Alps and instructed people how to fly airplanes. He is a director on the Board of BC Sailing, the provincial arm of Sail Canada (CYA), responsible for the Learn to Cruise (LTC) program. He recently was elected 2nd Vice President on the board of the Vancouver Rowing Club. Gillian started sailing more than 40 years ago and raced everything from Lasers and Flying Dutchman to a Santa Cruz 50. Not only was Gillian an avid racer, she extensively cruised and circumnavigated the world in her boat "Khamsin” , a Noon Ocean 34, from 1991 until 2005. Gillian is one of the leading and most experienced sailors in Canada. Gillian was instrumental in developing the CYA (now Sail Canada) cruising program and is the author of Basic Cruising Skills. This manual is used by Sail Canada registered sailing schools for basic cruising lessons and for training instructors. 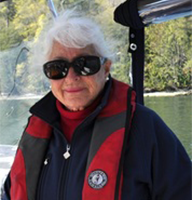 Without Gillian, Sail Canada would not be what it is today. 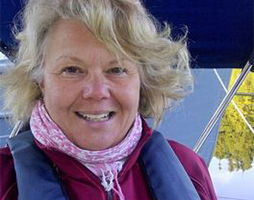 Gillian has been teaching all levels of sailing and navigation for over thirty years. Bob's sailing journey began as a youth learning to sail through the Canadian Yachting Association’s Learn to Sail program and competitive dinghy racing in Ontario. He has been a keelboat sailing instructor since 1988. In addition to sailing on the West Coast, Bob also co-leads flotilla trips to international destinations including Australia, Croatia, Turkey and the British Virgin Islands. 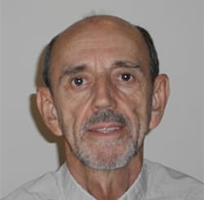 Bob is also a member of Sail Canada's Cruising Panel and was instrumental in developing teaching materials. Bob has been teaching for different sailing schools for almost thirty years. He has lead many instructor courses introdcuing experienced sailors to teaching new sailors and passing along their passion for this great sport. 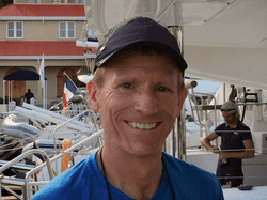 Bob Davis has been teaching with Simply Sailing since 2015. Colin grew up by the water in Sydney (Aus) as a power boater, water skier, scuba diver, then started sailing in Toronto (Can) in 1990. After moving to Vancouver in 1993 he cruised extensively along the BC & US coast and participated in many of the local long distance races. Since 1990 he has logged in excess of 8000 miles of offshore and coastal cruising/racing and has now added to that another 5000+ miles of on water teaching since becoming an instructor in 2006. ​Colin has been teaching sailing since early 2006 and also became a power boat instructor in 2010. 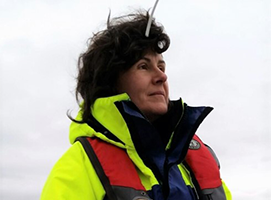 Marla grew up in the lake country of northern Manitoba and sailing caught her fancy as a youth learning to sail through the Manitoba Parks and Recreation Learn to Sail program. Working for a chartering company and drop in racing clubs inspired Marla to become an skipper and eventually sailing instructor. Marla specializes in introducing sailors into the wonderful world of cruising, She coaches new and experienced sailors alike and even mentors new instructors. She develops and leads flotilla trips to international destinations including Greece, Croatia, Turkey and the British Virgin Islands. Marnie started cruising in keel boats in 2002 and began racing a few years later to get more time on the water in all the seasons. Being involved in a local sailing cooperative has led to the opportunity of skippering and crewing two dozen different boats in coastal and offshore waters. Skills range from squeezing a family of five into a 26 foot Grampian for a week of anchoring in Desolation Sound (many times) to enjoying a refreshing midnight hail shower in tropical swells. Ben began sailing as a child on his parents boat making trips to France and the Channel Islands along the south coast of England. 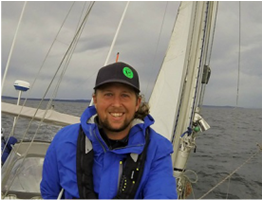 Ben sailed through the Greek Islands and most recently participated in the renowned VanIsle 360 International Yacht Race. He loves sailing for the adventure and his dream is to sail and ski his way to Alaska, then sail and surf the way back to Vancouver. Ben owns an O'day 27 which he sailed 2017 to Alaska in the infamous R2K (Race to Alaska). Steve has been sailing since he was a child. His family would take trips on their MacGregor 26 across all of the different cruising areas of BC. In his teenage years, his focus changed to one design dinghy racing. He won the Sea Cadet National Championships twice and was on the Canadian Youth Racing Team from 2000-2001. After that his focus shifted to racing in the local 49er fleet, a high-performance Olympic class dinghy. Now Steve enjoys racing in the Vancouver Martin 242 fleet and cruising in the Gulf Islands. Steve began teaching sailing in the Sea Cadet Program in 1997. He then started teaching at the Jericho Sailing Center from 2001-2013 working with the Locarno Sailing Club and Mac Sailing. Steve started teaching with Simply Sailing early in 2014. Sail Canada (CYA) Basic Cruising Instructor. 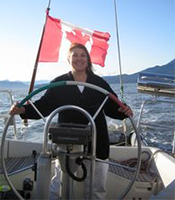 Dorothy has been able to apply her business experience as a coach, manager and trainer to the sailing world - she is a certified Sail Canada instructor (CYA) as well as a certified American Sailing Association Instructor (ASA). Dorothy has been teaching with Simply Sailing since 2013.